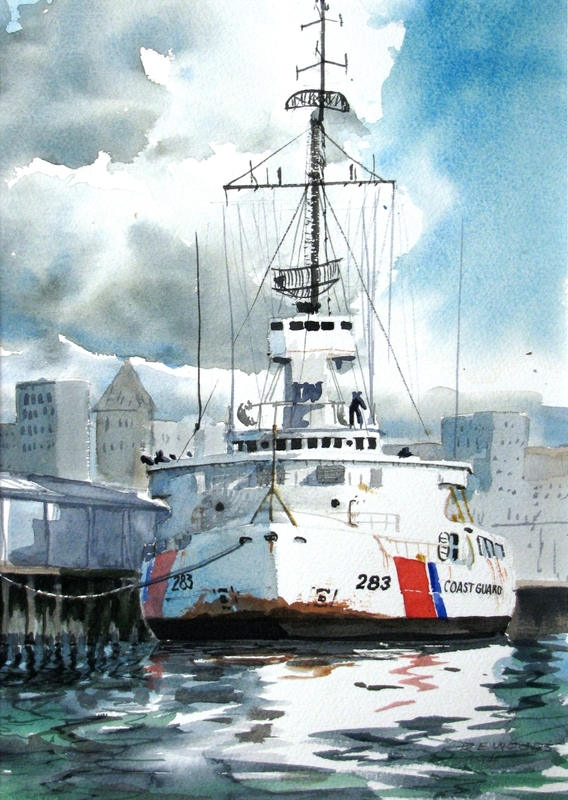 USCGC Burton Island, WAGB 283, in the 1960's was moored in Seattle a lot. A Wind-Class Icebreaker, the BI spent a lot of time in both antarctic and arctic waters. This was painted for my uncle, who was a reserve port security watchstander.